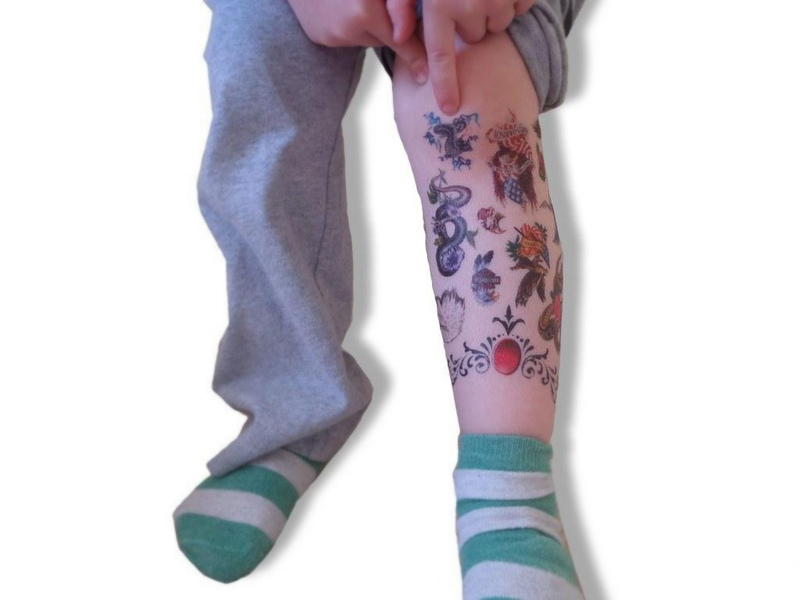 A book of temporary tattoos. Tatts a lot of body art. Holy cow. Don't let him near a real tattoo parlour tilll he gets over this phase. Easily - but not painlessly - removed using sticky tape (waxing style!). Might put him off applying them in the future too! It's a quiet, gentle life at your house. I can tell. holy moly! What fun, I wish I could do that. hehe! My 4-year-old is also of the more-is-more school of thought. love 'em. I have a girl who looks like that at the moment. What is it with the tattoos...? ah yyup, the old more is more - love it!